Half of all Americans have money in the stock market, yet economists can't agree on whether investors and markets are rational and efficient, as modern financial theory assumes, or irrational and inefficient, as behavioral economists believe―and as financial bubbles, crashes, and crises suggest. This is one of the biggest debates in economics and the value or futility of investment management and financial regulation hang on the outcome. In this groundbreaking book, Andrew Lo cuts through this debate with a new framework, the Adaptive Markets Hypothesis, in which rationality and irrationality coexist. Drawing on psychology, evolutionary biology, neuroscience, artificial intelligence, and other fields, Adaptive Markets shows that the theory of market efficiency isn't wrong but merely incomplete. When markets are unstable, investors react instinctively, creating inefficiencies for others to exploit. Lo's new paradigm explains how financial evolution shapes behavior and markets at the speed of thought―a fact revealed by swings between stability and crisis, profit and loss, and innovation and regulation. 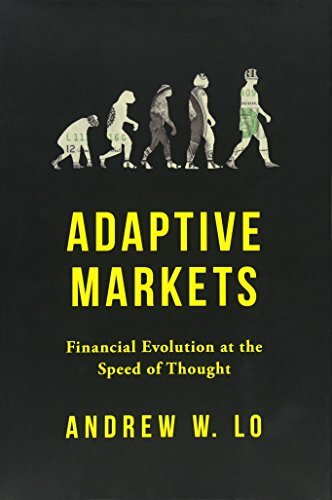 A fascinating intellectual journey filled with compelling stories, Adaptive Markets starts with the origins of market efficiency and its failures, turns to the foundations of investor behavior, and concludes with practical implications―including how hedge funds have become the Galápagos Islands of finance, what really happened in the 2008 meltdown, and how we might avoid future crises.